Bronchopulmonary dysplasia. American Lung Association website. Available at: http://www.lung.org/lung-disease/bronchopulmonary-dysplasia. Accessed September 21, 2017. Bronchopulmonary dysplasia. EBSCO DynaMed Plus website. Available at: http://www.dynamed.com/topics/dmp~AN~T115226/Bronchopulmonary-dysplasia . Updated June 26, 2017. Accessed September 21, 2017. Respiratory distress syndrome (RDS) of the newborn . EBSCO DynaMed Plus website. 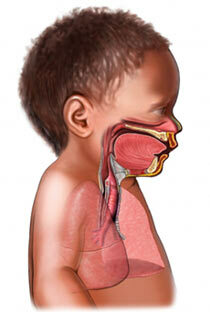 Available at: http://www.dynamed.com/topics/dmp~AN~T114184/Respiratory-distress-syndrome-RDS-of-the-newborn . Updated June 26, 2017. Accessed September 21, 2017. 4/1/2014 DynaMed Plus Systematic Literature Surveillance http://www.dynamed.com/topics/dmp~AN~T905359/Choosing-Wisely : Choosing wisely. EBSCO DynaMed website. Available at: http://www.ebscohost.com/dynamed. Updated July 23, 2015. Accessed September 29, 2016.